This entry was posted in news and tagged MINI Clubman on May 16, 2016 by James Day. MINI debuted the MINI Clubman ALL4 back in January and today announced the official launch. 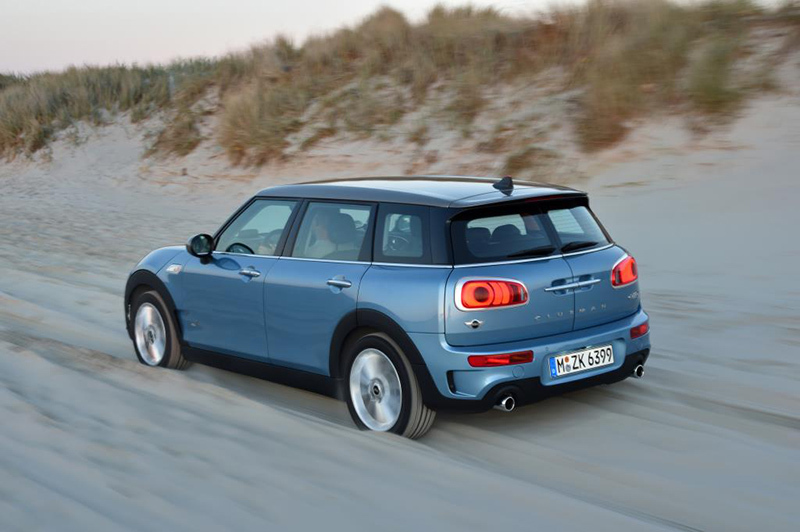 The market launch of the new MINI Clubman sees the latest model generation of the British brand embark on its advance into the premium compact segment. Additional momentum is now provided by the all-wheel drive system ALL4. 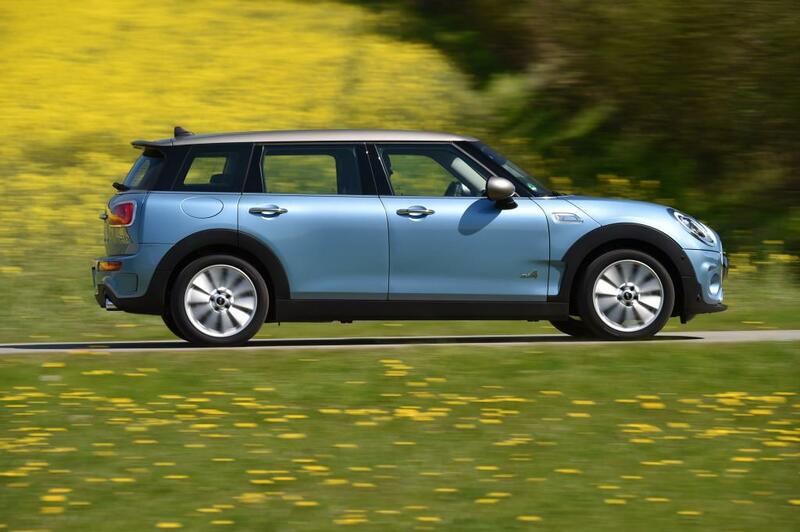 The new MINI Clubman ALL4 guarantees an even sportier yet particularly supreme type of driving fun. The very latest MINI feeling in a whole new dimension – now also available with all-wheel drive; new MINI Clubman ALL4 combines the innovative vehicle concept in the premium compact segment with an even sportier and more versatile version of hallmark brand driving fun; newly developed all-wheel drive system for the latest MINI generation available in two engine variants. Premiere for the new generation of the all-wheel drive system ALL4 with electrohydraulic regulation, optimised weight and increased efficiency in the largest and most versatile MINI model; ideal alternative and supplement to the characteristic MINI front-wheel drive featuring a new construction principle with power take-off bevel gear on the front axle, dual-section propeller shaft for power transmission and Hang-On multidisc clutch in the rear axle differential; distribution of drive torque between the front and rear wheels precisely adapted to the given situation due to interconnection of the ALL4 control unit with Dynamic Stability Control (DSC); swift response to changes in driving style and road surface enables extremely sporty handling and supreme traction properties in all weathers and road conditions. powerful engines of the latest generation with MINI TwinPower Turbo Technology and also the current versions of the manual and Steptronic transmission; MINI Cooper S Clubman ALL4 with 2.0-litre 4-cylinder petrol engine (141 kW/192 hp) and standard 6-speed manual transmission as well as optional 8-speed Steptronic transmission; MINI Cooper SD Clubman ALL4 with 2.0-litre 4-cylinder diesel engine (140 kW/190 hp) and 8-speed Steptronic transmission as standard. Intensive driving fun due to powerful engines and traction-optimised power transmission to all four wheels; optionally available: 8-speed Steptronic sports transmission with shift paddles at the steering wheel and Launch Control function for highly dynamic acceleration from standing; optimised fuel consumption and emission figures due to efficient design and functioning of the new all-wheel drive system ALL4 as well as extensive MINIMALISM technology; auto start/stop function as standard; GREEN mode including coasting with decoupled drivetrain in conjunction with optional MINI Driving Modes and Steptronic transmission. All-wheel drive system ALL4 as an additional contribution to the highest level of everyday practicality and long-distance suitability ever achieved by a MINI; new MINI Clubman ALL4 combines hallmark brand go-kart feeling with secure handling properties and supreme driving comfort at all times; high-quality suspension technology unique within the competitive field featuring single-joint strut front axle and multilink rear axle: maximum agility due to large track width and weight-optimised, torsionally stiff body construction; electromechanical power steering with Servotronic function as standard. MINI Clubman ALL4 as standard with Dynamic Stability Control (DSC) including Dynamic Traction Control (DTC), Electronic Differential Lock Control (EDLC) and Performance Control; sports suspension and Dynamic Damper Control optionally available; standard trim with light alloy wheels in 17-inch format; light alloy wheels optionally available up to a size of 19 inches. New MINI Clubman now available in eight engine variants; extended variety for a vehicle concept that is unique in the compact segment in the tradition of the classic shooting brake; distinctive body design with dynamically stretched silhouette, powerful shoulder contour, long roof line and sloping rear; optimised aerodynamic properties due to Air Curtains in the form of air inlets in the front apron and air outlets behind the front wheel arches known as Air Breathers; high level of versatility due to the four side doors and characteristic, side-opening split doors at the rear; five fully-fledged seats; luggage compartment volume: 360 litres; rear backrest with optional 40 : 20 : 40 folding split; maximum storage volume: 1 250 litres; range of body paint finishes expanded to include Digital Blue metallic. Distinctively designed interior with wide dashboard and cockpit facia frame in upper section; instrument panel on the steering column; central instrument with diverse display functions; intuitively operated air conditioning control unit; central console with electric parking brake, storage compartments, two cupholders, MINI Controller and armrest. Weight-optimised and crash-optimised body structure; standard safety fittings include front and side airbags, side curtain airbags, 3-point automatic belts on all seats, at front with belt tensioners and adaptive belt force limiters, ISOFIX child seat mounting at rear and optionally also on the front passenger seat; tyre pressure display; excellent acoustic and vibrational comfort. Full range of optional equipment to increase driving fun, comfort and individuality also available for the new MINI Clubman ALL4; MINI Driving Modes for individual vehicle set-up; modern driver assistance systems including MINI Head-Up-Display, Parking Assistant, rear view camera and Driving Assistant; LED headlamps; LED fog lights; electrically adjustable seats for driver and front passenger; Comfort Access including non-contact opening of the split doors; trailer tow hitch; panorama glass roof; MINI Excitement Package with LED interior and ambient lighting and projection of the MINI logo from the exterior mirror on the driver’s side when opening and closing the car; MINI Yours Interior Styles with backlit door bezels; alarm system including red LED status light in the fin antenna; range also includes: exclusive John Cooper Works and MINI Yours options and the current MINI Connected in-car infotainment program. CO2 emissions*: 162 – 159 g/km (149 – 146 g/km), exhaust emission standard: EU6. CO2 emissions*: 129 – 126 g/km, exhaust emission standard: EU6.